Last time we took a quick glimpse at the importance of freeware and demo software applications and how they could serve a company as well as the user if they were brought back into focus. To further this point, we are going to look at some other practical applications of free trial software. To do this, we are going to take an in depth look at the advantages of a hands-on experience and what it can prevent. Trial version software can either support or combat two things: product advertisement and word-of-mouth. Advertisement, while not necessarily false, is something designed by the manufacturer with the purpose to convince the client to purchase a certain product. It may, and in most cases is, generally sincere, but it always shows the good side of a product and never even gets anywhere close to any of its problems. And when the competition throws around slogans like “the very best,” or “incredible” complete honesty doesn’t really seem like the best policy anymore. You’re never going to see an ad for an Extra Large Bucket o’ Chicken with Cheese as “It will keep hunger away for just 10 minutes because you’re going to throw up everything.” That’s just bad business. That’s why a personal experience is vital when making a purchase. Food might be a bad example, since you can’t really return it in case you’re not satisfied with the product, but you get the picture. Things like trial versions and free demos allow you to see past the glorifying statements and promises made by advertisements, and see for yourself just how good that product is, and where is falls short. 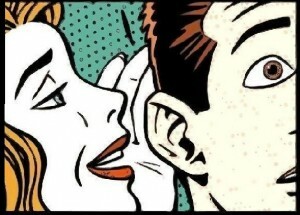 Word of mouth works in a similar fashion, only it tends to be more trustworthy. For all purposes, it should represent an objective opinion, voiced by the customers that have had a hands-on experience with that specific product and now share that experience with the rest of us. And word of mouth is something we should greatly consider when we’re thinking about making a purchase. After all, a smart man learns from his mistakes. A brilliant man learns from the mistakes of others. But word of mouth is not perfect. It has its flaws and these need to be accounted for if we are to make a smart decision; a brilliant decision. The main flaw of “word of mouth” is that simple people, average customers, can often be very subjective. Emotions get in the way, and opinions get cloudy. You may see a product being absolutely praised for its characteristics and performance, and labeled by its customers as the very best, the ultimate choice available on the market. This is usually generated by phenomenon known as the “fanboy effect” (we’re not even going to consider the possibility of masked, camouflaged advertising.) Basically, its blind devotions towards a company, brand or individual product that tends to leave its victims uninformed and ignorant to the counteroffers of the competition. This is the second thing that free trials can help to combat, as you get to see is a product that is even praised by a client community is worth its mettle. This entry was posted in Articles and tagged advertising, free trial, freeware, IT manager, IT world, license, malware, software application, word of mouth by Software Management Solution. Bookmark the permalink.